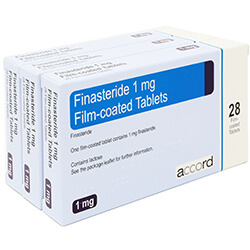 Originally developed for men with benign prostatic hyperplasia (BPH). Can be prescribed only for men. 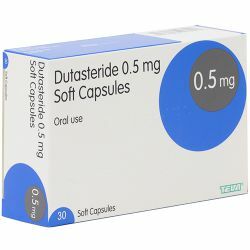 buy Dutasteride 0.5mg Capsules 30 (generic Avodart) 30 - contains the same drug as Avodart. The recommended dose is one capsule (0.5 mg) taken once a day. Swallow the capsules whole with water. Do not chew or break open the capsule. Contact with the contents of the capsules may make your mouth or throat sore. 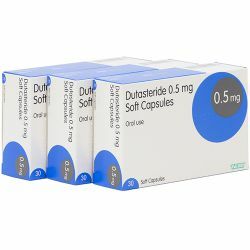 Allergic reaction Contact you doctor immediately if you get any of these symptoms, and stop using Dutasteride capsules. The signs of allergic reactions can include: -skin rash (which can be itchy) -hives (like a nettle rash) -swelling of the eyelids, face, lips, arms or legs. Reporting of side effects If you get any side effects, talk to your doctor or pharmacist. This includes any possible side effects not listed in this leaflet. You can also report side effects directly via Yellow Card Scheme Website: www.mhra.gov.uk/yellowcard. By reporting side effects you can help provide more information on the safety of this medicine.